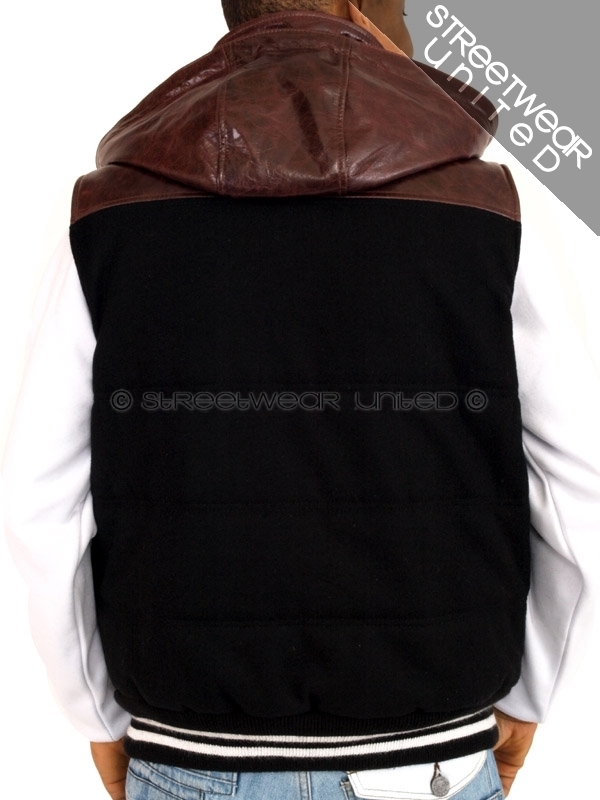 This seasons new University Gilet special soft half leather process designed. 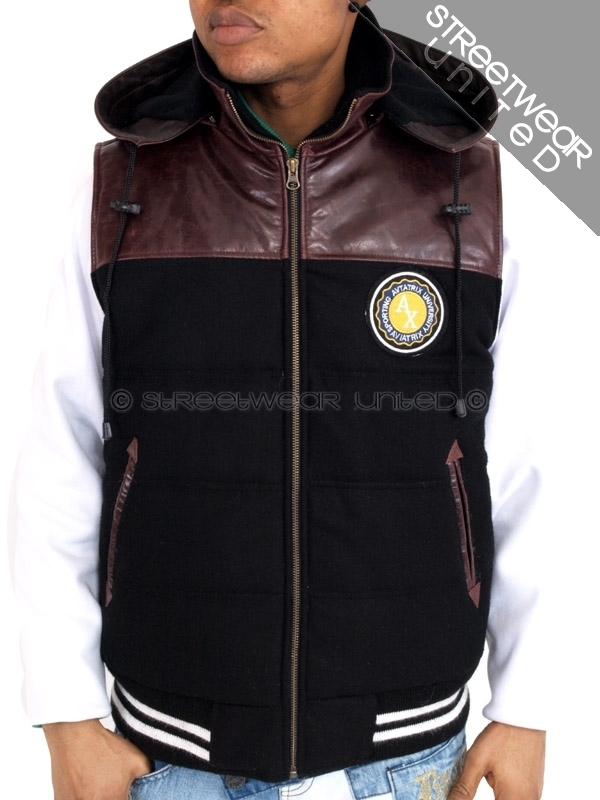 The waistband are trimmed striped knit and the Gilet is fastened by metal zip. There are two side pockets and 2 inside pockets. Black satin lining.Detachable Hood.